Looking for an unusual gift for that favorite mom in your life? How about a Right Whale Sponsorship? There are six whales to choose from and one of them, Piper, is a mother this year! 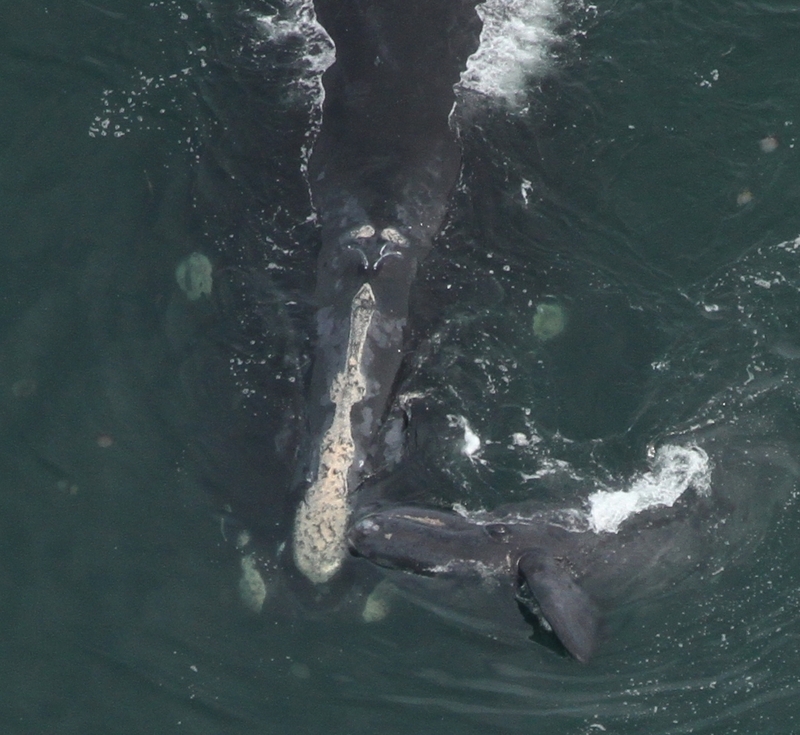 She and her third calf made it safely up the East Coast from the calving ground and were seen recently in a big Cape Cod Bay feeding aggregation. Tax deductible sponsorships are available at different levels and 100 percent of the funds go directly towards the research and conservation work focused on saving this most endangered whale. To find out more about sponsoring a right whale go to www.neaq.org/rwsponsor. Piper rests while her playful calf rolls and nuzzles her in the waters off Florida in January.